Neoclassical architecture, derived from the architecture of Rome and Greece, was very popular in public buildings, especially in the first half of the 20th century. This popularity did sometimes spill over into residential structures like this one, as well. This home was originally built for C.W. Sawyer, president of Sawyer Lumber Company. One of the many sawmills on the Mississippi River during Minneapolis' early years, this company still exists today, and is now known as Sawyer-Cleator Lumber Co. in Osseo, MN. The 1930 Minneapolis directory shows Harry C. Day living at this address, and still living there by 1950. In 1969, the property was purchased and modifications made in order to use the structure as a group home for people with mental disabilities. Changes included enclosing the front porch to use as another bedroom. 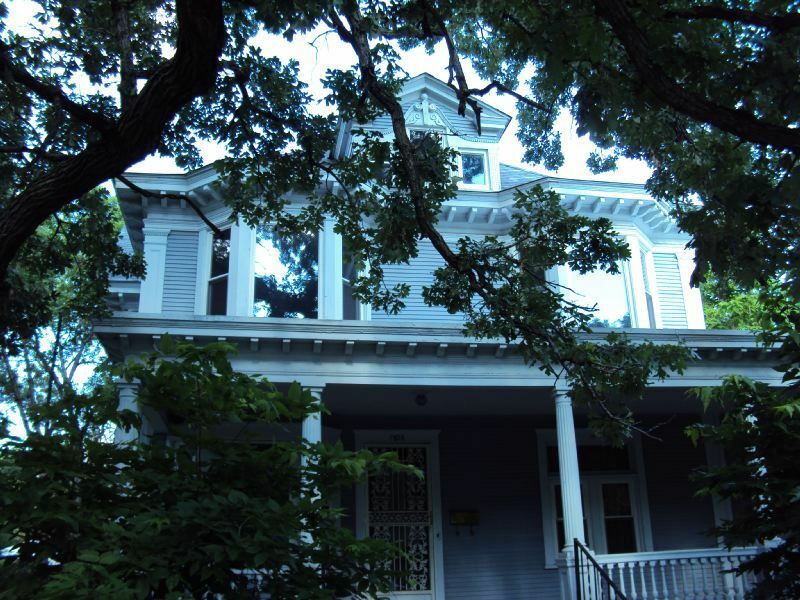 Today, it is once again a single-family home, and is in the process of being restored. You can see the Classical Revival features in several places on this structure, reminding one of ancient Greece or Rome. A principal feature of the house's main (west) facade are three projecting window bays surrounded by an elegant Classical Revival window head covering the three windows in the front roof gable. The two prominent bay windows below it on each side create balance in the spirit of classical symmetry. The typical dentilated strips surrounding the house under the eaves on the second floor, so common in this neighborhood, here receive a much more prominent treatment. This is also seen on the porch frieze. The two-and-a-half story structure is capped with a truncated, hipped roof with cross gables and wide eaves, supported by a continuous series of modillions (brackets) which also appear in the side roof gables. 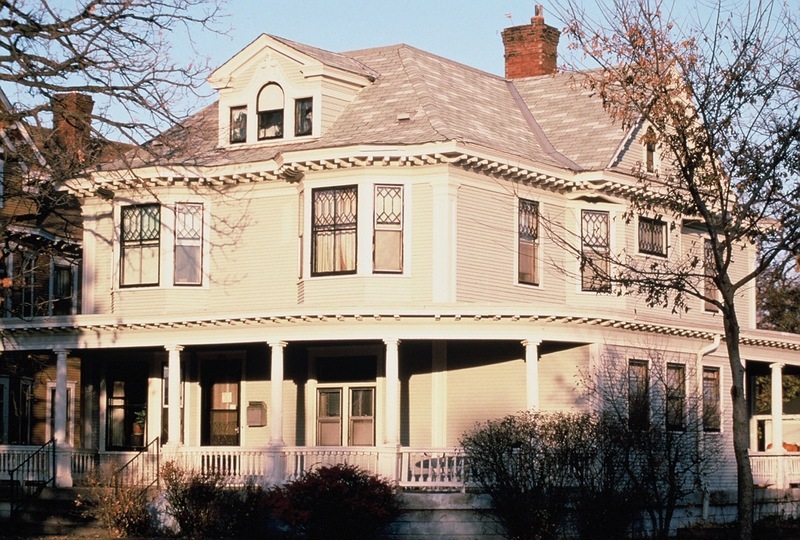 The Queen Anne-influenced wraparound porch on the first floor with fluted Doric columns features a porch railing with lathe-turned spindles. Look for the classical two-story pilasters on both the northwest and southwest corners of the home. Note also the poured-concrete foundation; unusual for this era and neighborhood. In the images here, you can see the house with its original leaded-glass windows, before the installation of replacement windows. Old Highland Neighborhood Association, “1506 Emerson Avenue North: C.W. 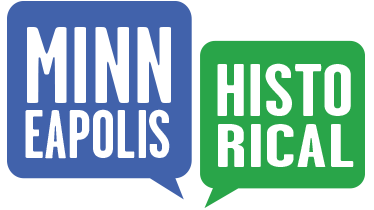 Sawyer House,” Minneapolis Historical, accessed April 22, 2019, http://minneapolishistorical.org/items/show/25.